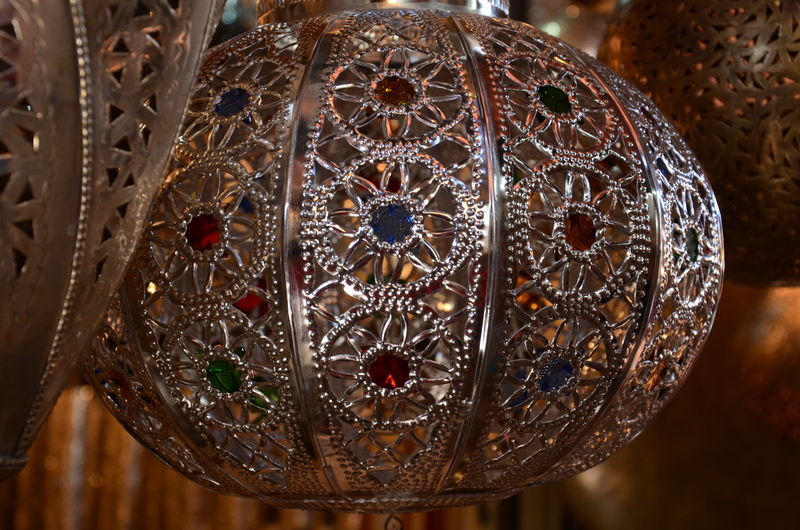 Whilst in Morocco recently, we stayed in the heart of the Medina in Marrakesh, for those of you that have visited Marrakesh, you will know Jemaa el-Fnaa is the chaotic centre of the Medina. 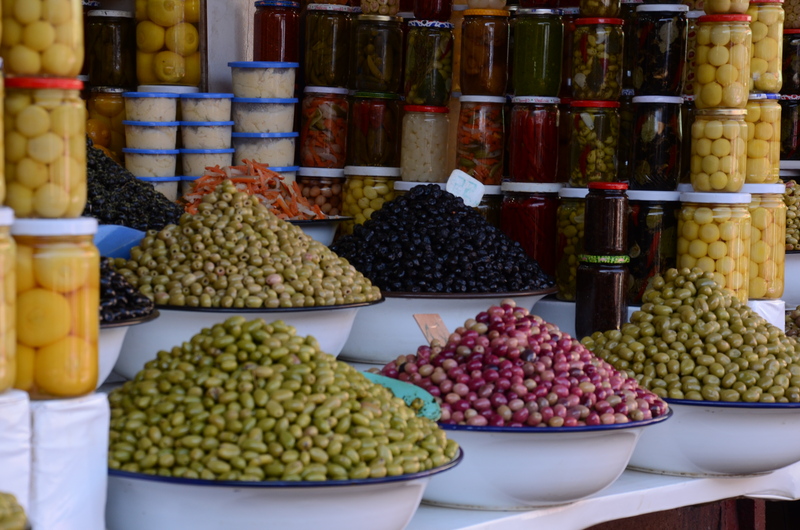 For those that haven’t visited Marrakesh, the Jemaa el-Fnaa is one of the best-known market squares in Africa and is the centre of city activity and trade in Marrakesh. It has been described as a “world-famous square”, “a bridge between the past and the present”, but for me it is a place to explore and experience. It’s fascinating, definitely chaotic, loud (as my son described it), but also there are little havens in the forms of riad’s just off the main square. I believe the name, Jemaa el-Fnaa loosely translates to “the assembly of trespassers”. Historically this square was used for public decapitations by rulers who sought to maintain their power by frightening the public. The square also attracted dwellers from the surrounding desert and mountains to trade here, and stalls were raised in the square from early in its history, I believe sometime in the 11th century. The Jemaa el-Fnaa square, Kasbah and surrounding buildings, including the many impressive riad’s is fortified within a 19km 3 metre plus high wall which was built around 1170 AD. Historically, the square attracted all different kinds of tradesmen, snake charmers, dancing boys of the Atlas tribes, and musicians playing drums, tambourines and pipes. Today, the tradesmen and snake charmers are still around, along with a diversity of social and ethnic backgrounds and tourists from all around the world. 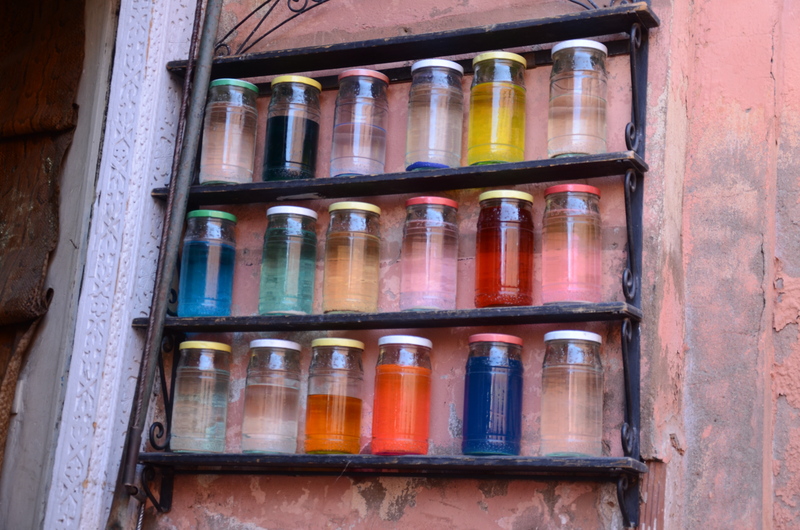 These are joined by acrobats, magicians, mystics, musicians, monkey trainers, herb sellers and entertainers, and last but not least, pickpockets, although we did not encounter any. 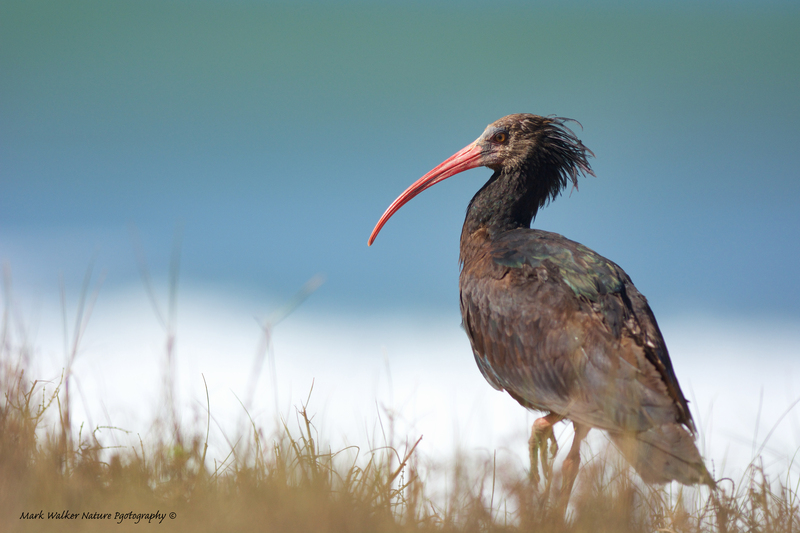 One of the benefits of staying at the Atlantic coast of Morocco recently was that the place we stayed just happened to be in the middle of a few colonies of one of the rarest birds in the world, the Northern Bald Ibis. 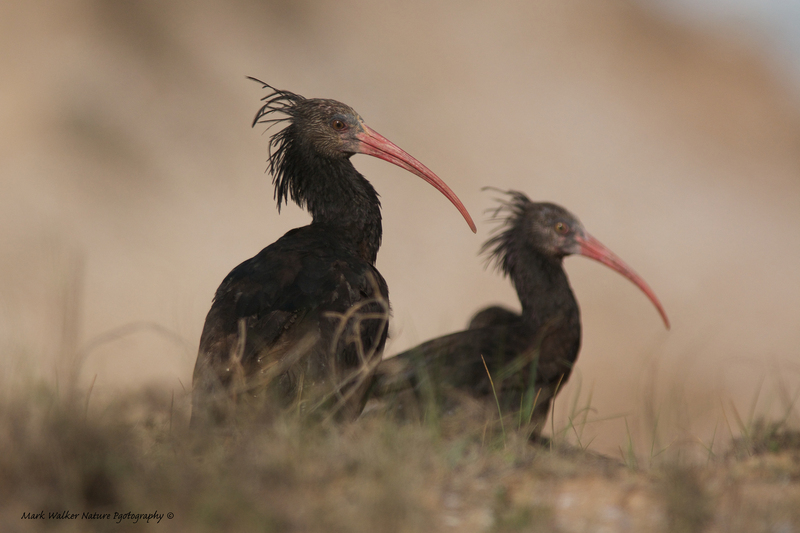 The Northern Bald Ibis was once widespread across the Middle East, northern Africa, southern and central Europe, however records suggest it disappeared from Europe some 300 years ago. There are believed to be about 500 wild birds remaining in southern Morocco (up from a low of around 30-50 birds), and a few at a colony in Syria . To combat this ebb in numbers, recent reintroductions have been initiated in Turkey, as well as sites in Austria, Spain, and northern Morocco. The reasons for the species’ long-term decline are unclear, but it is no surprise that hunting, loss of foraging habitat, and pesticide poisoning have been implicated in the rapid loss of colonies in recent decades. The wild Moroccan population can be found in the the Souss-Massa National Park , South of Agadir, where there are three known colonies, as well as near the mouth of the Tamri estuary (Oued Tamri) North of Agadir, where there is a single colony containing almost half the Moroccan breeding population. 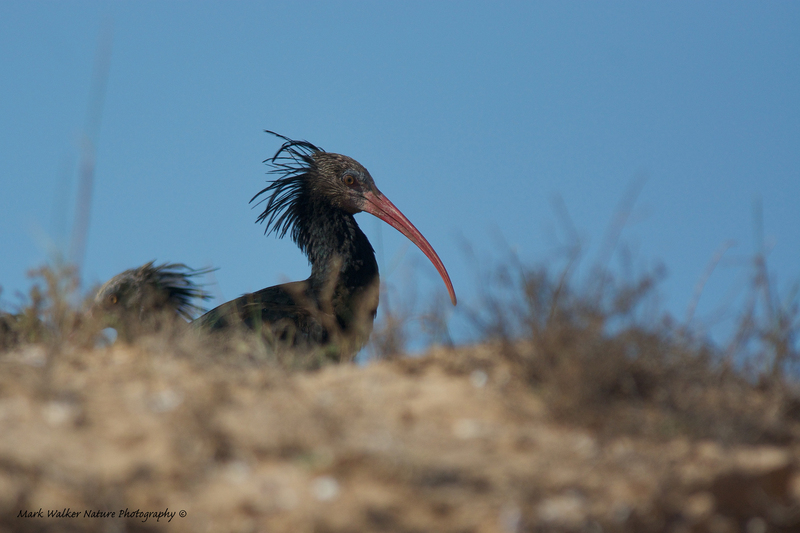 Although the Northern Bald Ibis was long extinct in Europe, many colonies in Morocco and Algeria survived until the early twentieth century, when they began to decline more rapidly, the last colony in Algeria disappearing in the late 1980s. In Morocco there were about 38 colonies in 1940 and 15 in 1975, but the last migratory populations in the Atlas Mountains had vanished by 1989. The species is now officially critically endangered according to the IUCN scale, with an estimated population in 2008 of around 500 in the wild and over 1,000 in captivity.